So, here I am, 8000 km from home. But it seems I cannot escape from it. Just after arrival in Vancouver, I talked with a hotel employee. He worked for quite some time in Londen and he went to Amsterdam all the time. Shortly after that, I came across the Vancouver Art Museum. Currently, they present an exposition with paintings from the Rijksmuseum. 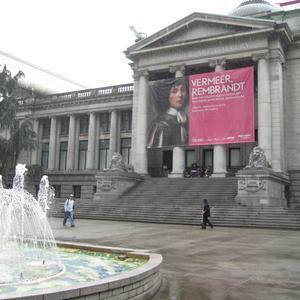 Everywhere (also in Victoria) you can find bill boards with Rembrandt and Vermeer on it. On my first day in Victoria, I phoned to the lab and I heard ‘goeie morgen’. 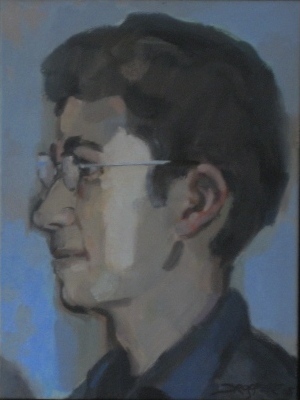 It appeared that S., a master student who often is in the lab, worked in Leiden for two years. 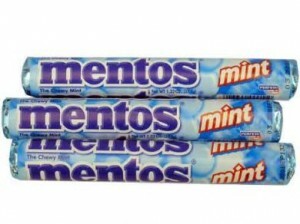 He treated us mentos. Some days later, someone entered the room and started speaking Dutch with me. One of the professors is dutch. In the center of Victoria, one can find a carillon that is a gift from the Dutch community in British Columbia. A few blocks further there is a Duch backery. Yesterday I entered a beer store. The first thing I saw was Heineken. And ten minutes ago I saw an ING commercial on a Philips television. Actually, it annoys me a bit. I want to be really away from the Netherlands. Okay, I understand. I meant it as a joke. I have the same. In your last e-mail to us you said you missed Belgian Beer. I found a shop in Victoria with some Belgian Beer on there website http://www.spiritmerchants.ca/store/category/7/83/Belgium/. Unfortunately it is expensive, but maybe better than Heineken.